Some BASIC, ASM 6502, C, C++. Joel Godin (FloridaJo) added a comment to T60984: Can't perform viewport navigation with left mouse button and active manipulator. I've got a Feb 4th build, on a Mac and I'm not seeing that. I can rotate with manipulator, move off of the manipulator and rotate view. Joel Godin (FloridaJo) added a comment to T61354: Material Preview blurred if Clearcoat is >0 in PBSDF shader. Joel Godin (FloridaJo) placed T60607: The tool system's "Spin" and "Spin (Duplicate)" operators are the same up for grabs. Joel Godin (FloridaJo) claimed T60607: The tool system's "Spin" and "Spin (Duplicate)" operators are the same. Joel Godin (FloridaJo) added a comment to T60607: The tool system's "Spin" and "Spin (Duplicate)" operators are the same. Correction; it is a bug. Spin (Duplicate) should open with 'dupli' set to True and it is not. Joel Godin (FloridaJo) added a comment to T60824: List of Properties that should use the Units system. Not sure its a bug, but rather a naming issue. If you look at the panel, you have to check 'Dupli' for it to duplicate. Joel Godin (FloridaJo) changed the edit policy for D4281: Add units to text curve offset_x and y..
Joel Godin (FloridaJo) created D4281: Add units to text curve offset_x and y..
Joel Godin (FloridaJo) added a comment to T60844: macOS application is not signed with a developer id. Have you tried stable releases? I believe they are signed. Joel Godin (FloridaJo) closed T57057: Go to Edit, select cube face, crash as Resolved. Something along the way must have been fixed, it don't crash at that point any more. Joel Godin (FloridaJo) created T57057: Go to Edit, select cube face, crash. Joel Godin (FloridaJo) created T53987: Change Transmission value while volume scatter enabled in Principled Shader causes crash..
Joel Godin (FloridaJo) closed T53815: How to change ui of blender? as Invalid. Hi Yash, welcome to Blender. Unfortunately this is not a forum for questions. It is for bugs and bug tracking. Joel Godin (FloridaJo) triaged T53777: blender.org/support/tutorials/ Blender Fundermentels alignment as Confirmed, Medium priority. @venomgfx Is this yours Pablo? Joel Godin (FloridaJo) closed T53772: Presets don't support colons as Invalid. You can write 16 colon 9 hit okay. Or as below 400 colon 24 > hit okay. Joel Godin (FloridaJo) added a comment to D2988: (Nodes) Display image name if any in the Image node title. @Joel Godin (FloridaJo) maybe you have a problem in your setup? Can you see any other changes that you make? Drop by IRC #blendercoders if you need help setting up or getting patches with arcanist! Okay, call me a noob, but I made the changes, built and I don't see that action on macOs. Joel Godin (FloridaJo) added a comment to T53212: The constrain axis manipulator often fails to function when the 3d view is maximised. Joel Godin (FloridaJo) closed T53667: Layers selection box goes missing after using edit mode as Invalid. If you are in Local view instead of Global, it will not be there. Joel Godin (FloridaJo) added a comment to T53624: ANT Landscape report error traceback. Okay, yes, if you add landscape from the menu as opposed to the button on the 'create' tab this happens. Should be a warning or contextually removed from menu in edit mode. Joel Godin (FloridaJo) added a comment to T53629: My Blender 2.79 keep flashing and not responding while i ctrl+z a few times. Have you tried the latest build bot version? Joel Godin (FloridaJo) closed T53626: Archimesh blender 2.79 as Invalid. You have to read instructions usually in order to know how to use something. Joel Godin (FloridaJo) triaged T53619: I don't have widget for cloud generator even after activating it as Needs Information from User priority. Please read how to report a bug. Title is not a desription. I have 10.13 also, but no error shows up. Joel Godin (FloridaJo) added a comment to T53489: Subsurf don't work. Sorry, maybe somebody else wants to, but I'm not going to download half a Gig file. Probably a language barrier here. Are you saying you create a subsurfed object in 2.78, and when you open it in 2.79 it is not working? If so, I did just that. Placed a UV sphere in 2.78, hit control 2 to add subsurf level 2, and then save that file. I opened it in 2.79 and it is working the same, in other words it is subsurfed. If you can explain the issue you are experiencing a little more that would be good. Joel Godin (FloridaJo) triaged T53603: viewport transparency updating doesn't work with cycles render as Confirmed, Medium priority. Actually it works when manually sliding the Factor slide, but when the Factor is slid within the timeline with keyframes, it does not. Sliding factor via keyframes does not show changes in viewport. Joel Godin (FloridaJo) added a comment to T53604: Adaptive subdiv stuck in "Simple" mode. I can't verify that here. 2.79 Master and 2.79 buildbot render a ball for me. Joel Godin (FloridaJo) triaged T53600: Gradation bug using BSDF as Confirmed, Medium priority. Joel Godin (FloridaJo) added a comment to T53592: Bevel operator do not confirm on release nor with spacebar like others. Try a later version from build bot. Bugs have recently been squashed on these. Joel Godin (FloridaJo) raised the priority of T53506: Circle Select don't respect "Limit to visible" toggle. from Confirmed, Medium to Needs Triage by Developer. ah, must have been fixed recently. 12-13 build does not do that here. Joel Godin (FloridaJo) triaged T53506: Circle Select don't respect "Limit to visible" toggle. as Confirmed, Medium priority. Joel Godin (FloridaJo) added a comment to T53533: I cant download blender. It downloaded for me okay. Joel Godin (FloridaJo) added a comment to T53518: Bump Node Outputting Pure Black. @Joey Bennett (Joey_Blendhead) Joey, I started reducing this bug, but it's a massive node layout, can you do that? Delete things until you get to the minimum node setup where that still is outputting black? Change this node from Multiply to Mix. See if that fixes it for you. Everything else besides Mix, makes it black. In the meantime, I'll see if I can recreate with a simpler set up. Joel Godin (FloridaJo) added a comment to T53529: Rip tool on single edge crashes Blender. Joel Godin (FloridaJo) added a comment to D2941: Inset Fix Patch. Yep, built this in macOS and works there too. Joel Godin (FloridaJo) triaged T53474: Bug with bevel as Confirmed, Medium priority. I didn't see it go spastic like that, but it does make huge jumps on my machine. Joel Godin (FloridaJo) added a comment to T53469: Loop Cut and Slide broken - purple lines do not show up (daily build). Not seeing that here on macOS. Joel Godin (FloridaJo) added a comment to T53455: Track To constraint makes object disappear. Not seeing that here on macOS on either 2.79 release or latest buildbot. Joel Godin (FloridaJo) triaged T53444: Number pad is bugged as Needs Information from User priority. Sounds like your numpad is not enabled. This is the action that happens when you press the numbers across the top. Joel Godin (FloridaJo) triaged T53447: opening of the application as Needs Information from User priority. Please read how to properly report bugs. This is not enough information to go on. Joel Godin (FloridaJo) added a project to T53443: A.N.T. Landscape addon error: Addons. Joel Godin (FloridaJo) added a comment to T53387: middle mouse button orbit function not working. The comment about trying all the mice laying around can throw one off. Joel Godin (FloridaJo) assigned T53441: 'Inset' function does not start at zero to Brecht Van Lommel (brecht). Joel Godin (FloridaJo) created T53441: 'Inset' function does not start at zero. 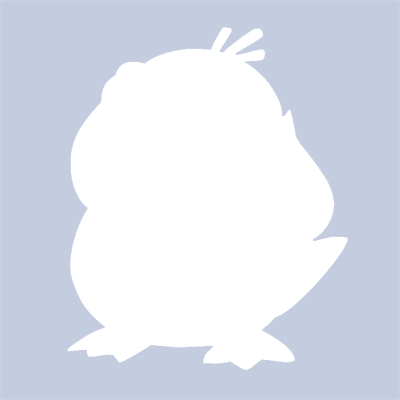 Joel Godin (FloridaJo) added a comment to T53145: Bevel Problem. @Brecht Van Lommel (brecht) Interesting the Inset has the same bug. I was waiting to see if the correction would fix that too, but Dec 1 build still have the issue with inset. I will submit a new bug report for that. Joel Godin (FloridaJo) added a comment to T53424: Blender render doesn'work with Mac High Sierra. Can you download the latest 2.79 from build bot and use factory settings to see how that works for you? Joel Godin (FloridaJo) added a comment to T53251: Armature modifier on hidden objects. Just dummy objects. That's what I thought you meant by "alternatively, delete hidden objects. " Joel Godin (FloridaJo) closed T53401: Removed: spam as Invalid. then deleted Dummy Hair and Dummy Clothing, no difference in playback. Joel Godin (FloridaJo) added a comment to T53395: Problem with armatures in blender. Didn't see that here on OSX. Try my file I just opened yours and saved it again with no changes. It may be that the file was corrupted. and disable any addons you enabled? Joel Godin (FloridaJo) added a comment to T53393: Change from 'd' key to 'draw' panel button causes pencil to be activated immediately instead of upon LMB. Joel Godin (FloridaJo) updated the task description for T53393: Change from 'd' key to 'draw' panel button causes pencil to be activated immediately instead of upon LMB. Joel Godin (FloridaJo) created T53393: Change from 'd' key to 'draw' panel button causes pencil to be activated immediately instead of upon LMB. Joel Godin (FloridaJo) added a comment to T53392: Grease Pencil layer changes affect all layers. Joel Godin (FloridaJo) assigned T53392: Grease Pencil layer changes affect all layers to Joshua Leung (aligorith). Can you take a look at this Joshua? Joel Godin (FloridaJo) created T53392: Grease Pencil layer changes affect all layers. Joel Godin (FloridaJo) assigned T53350: Tissue Mesh addon generates fault when hitting 'weight from 'curvature'' button to Alessandro Zomparelli (alessandrozompa). Joel Godin (FloridaJo) created T53350: Tissue Mesh addon generates fault when hitting 'weight from 'curvature'' button. Joel Godin (FloridaJo) added a comment to T53317: Animation Node package does not find numpy in official build 2.79. Have you tried a recent version from BuildBot? There used to be an issue, I think it's been fixed in a later build. Joel Godin (FloridaJo) assigned T53313: New Bevel shader darkens transparent materials to Brecht Van Lommel (brecht). If you set IOR to 1.0, it turns black. Joel Godin (FloridaJo) added a comment to T53068: AMD Threadripper not working well with Blender . Joel Godin (FloridaJo) added a comment to T53293: Transform node with bicubic filtering distorts image. Don't know enough about nodes to know if its a bug or not. Joel Godin (FloridaJo) added a comment to T53298: Fullscreen is not full and action area of buttons moved. 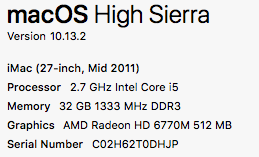 On 11 - 8 and 11 - 12 build on 27" Mac, and works fine here. Joel Godin (FloridaJo) added a comment to F1097499: lock.png. 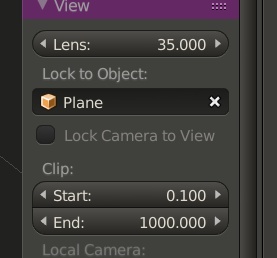 In 3D view, 'N' brings up the properties panel. It is under the heading 'view'. Joel Godin (FloridaJo) added a comment to T53260: Layers buttons are often lost from the 3D View's Header when exiting edit mode. Joel Godin (FloridaJo) edited projects for T53264: Crash when switch in edit mode solved. (in part), added: BF Blender: 2.8; removed BF Blender. Joel Godin (FloridaJo) assigned T53263: Blender crashes when rendering with a Stabilize 2D node without a movie selected to Lukas Toenne (lukastoenne). Happens here on OSX as well. Joel Godin (FloridaJo) added a comment to T53261: Clicking - Viewport Shading - Material closes Blender. @LazyDodo (LazyDodo) I guess the Blender docs are wrong then. I doesn't say 'only on OSX and Linux'. Joel Godin (FloridaJo) assigned T53145: Bevel Problem to Campbell Barton (campbellbarton). Joel Godin (FloridaJo) placed T53145: Bevel Problem up for grabs. Not sure if connected issue, but 'inset' also has a weird glitch where a second 'inset' insets to the same proportion as the first. One small move of the mouse and it jumps back to normal size (just less than original face size). Will wait for developer to see if issues are connected before generating bug report for this as well. Also OSX here, but have never seen that. Can you upload your crash report? Joel Godin (FloridaJo) triaged T53254: Fbx import assertion error(unknown location -1) as Confirmed, Medium priority. Joel Godin (FloridaJo) closed T53256: Wierd Vertice Movement Bug as Invalid. Because you have 'Lock Object' to plane. Click the x to remove the constraint. Joel Godin (FloridaJo) added a comment to T53252: Single vertex shows strange behavior when moved in 3D space. Also, upon opening, the vertex 'X' position is .00078. If you manually change it to something like .00079 and above or .00076 and below, it works normally. Joel Godin (FloridaJo) raised the priority of T53230: import a fbx then export a dae file, blender crashed, (always) from Needs Information from User to Confirmed, Medium. Joel Godin (FloridaJo) added a comment to T53230: import a fbx then export a dae file, blender crashed, (always). If I pack external data, it no longer crashes. You have to import, then export > crash. If you import, pack, export, > no crash. Joel Godin (FloridaJo) assigned T53230: import a fbx then export a dae file, blender crashed, (always) to Gaia Clary (gaiaclary). Happens here on OSX as well. Oct 24 build. Joel Godin (FloridaJo) added a comment to T53237: Mouse-based bevel adjustment breaks when operator is applied > 1 times. Bevel width sticks on the maximum value. Joel Godin (FloridaJo) assigned T53216: Motion Tracking - clean up - delete tracks or delete segments doesn't work to Sergey Sharybin (sergey). Yes. Same here on OSX 10-26 build. Joel Godin (FloridaJo) triaged T53185: F12 render rendering whole animation instead of single frames as Confirmed, Medium priority. Joel Godin (FloridaJo) assigned T53120: Web site typo to Pablo Vazquez (pablovazquez). Joel Godin (FloridaJo) triaged T53149: render problems as Needs Information from User priority. This is about as 'incomplete' as they come. @Campbell Barton (campbellbarton) I'm guessing this is either yours or Brechts? Joel Godin (FloridaJo) added a comment to T53120: Web site typo. Joel Godin (FloridaJo) added a comment to T53106: Blender UI font glitch. Joel Godin (FloridaJo) closed T53063: Key switch on QWERTZ (de) keyboard as Invalid. Joel Godin (FloridaJo) assigned T53085: Blenderguru Tutorial Links are Broken/Missing to Pablo Vazquez (pablovazquez). @venomgfx Pablo I think this is your area?